NPR – An Iranian broadcast journalist who was detained by U.S. authorities as a material witness for 10 days, is with her U.S. family, according to an attorney for the American-Arab Anti-Discrimination Committee. 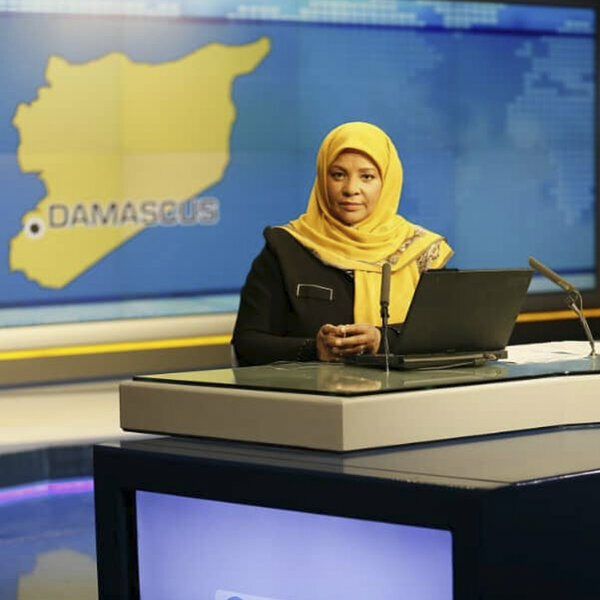 Marzieh Hashemi, a news anchor for Iran’s English-language Press TV, had been held in jail to make sure she would appear to testify before a federal grand jury in Washington, D.C. And on Wednesday, the 59-year-old fulfilled her obligation as a material witness and was released from any further obligation, Abed Ayoud, a lawyer for the ADC told NPR. “She is relieved that this is over but the family is pretty angry and upset at the way that this happened,” Ayoud said. Hashemi holds dual citizenship in the U.S. and Iran. She was born Melanie Franklin in Louisiana, and moved to the Mideast and changed her name after marrying an Iranian man and converting to Islam. Since then she has become a prominent reporter in that country. She was taken into custody at the St. Louis airport on Jan. 13, then transported by the FBI to Washington. Her detainment was initially reported by Iranian news outlets, but the FBI and other law enforcement agencies declined to confirm the reports for several days. Ayoud said all three of Hashemi’s adult children have been subpoenaed to testify in the same case. Officials haven’t said what the grand jury is investigating. Hashemi and her children haven’t been charged with any crimes. Catherine Shakdam, a spokeswoman for the Journalist Support Committee, told NPR Hashemi is with her family at a hotel in Washington, D.C.
Shakdam said Hashemi was afraid the government shutdown would prolong her detainment. “In light of the shutdown, it was quite quick and she is quite relieved,” Shakdam said. She also suggests publicity about the government’s use of rarely used material witness laws put pressure on officials to release Hashemi as quickly possible. Several organizations in the U.S. and abroad, as well as Iranian government officials, called for Hashemi’s immediate release.